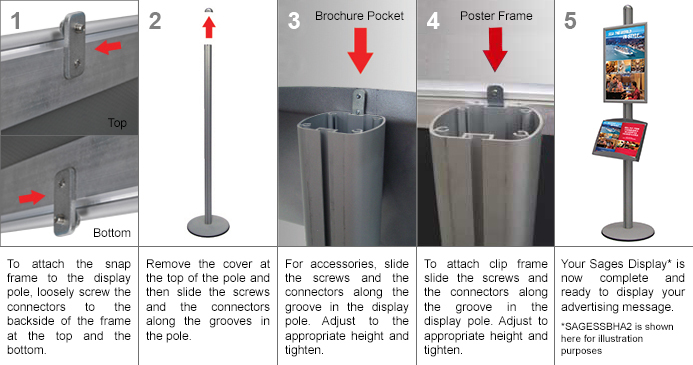 Tiered brochure holder uses angled pockets that can be placed anywhere along centre pole! 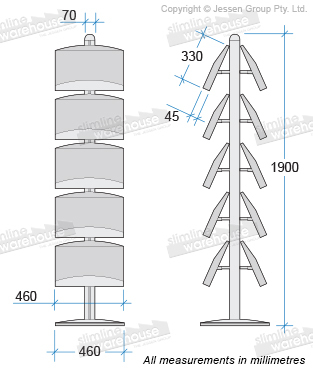 Dual-sided stand helps provide twice the literature without taking up additional space! 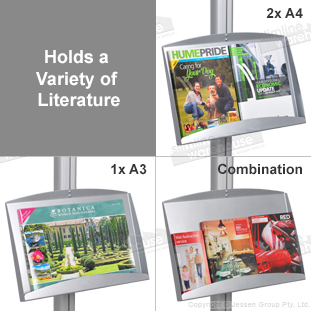 This tiered brochure holder features a double-sided design that allows you to present heaps of literature to patrons whilst taking up little space on your floor. 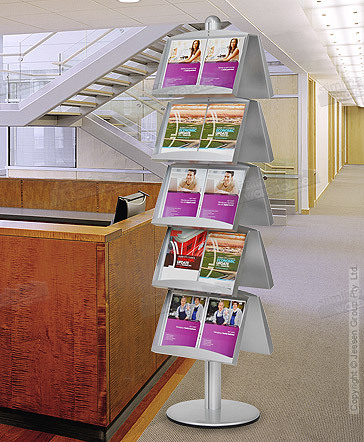 The literature stands have (10) aluminium angled pockets that hold your magazines, brochures, and catalogues for customers to browse through. These pockets are adjustable along the modular display, making it easy to position them exactly where you need. 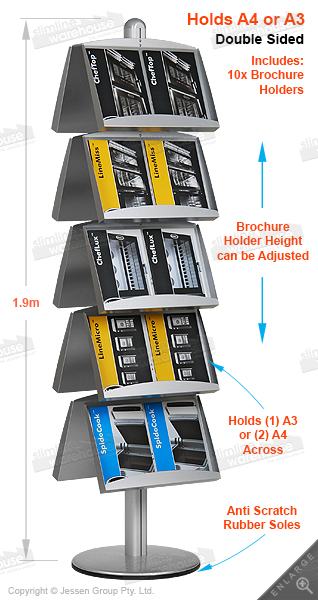 A tiered brochure holder, much like leaflet displaysand plastic catalogue stands, can hold (20) A4 (210 x 297mm) or (10) A3 (297 x 420mm) in the pockets on each side of the display to provide a huge variety to visitors. This aluminium display has a silver finish that allows it to fit in with any décor as well! The base of the display is weighted for stability and features a anti-scratch rubber sole to help prevent damage to different surfaces during use. Browse through our entire online catalogue to see all the great products that we offer, with hundreds of items in many different categories. New products are added weekly in order to ensure we stay current with new trends & the latest technologies. Same day despatch is provided with most in stock items that are purchased by 1pm EST from Slimline Warehouse to anywhere in Australia, including Sydney, Perth, Adelaide, Brisbane, Gold Coast, Alice Springs, Hobart, Melbourne, & Darwin!